With over 30 years of experience in the cabinet industry, and certified by the National Kitchen & Bath Association (NKBA), we can design & craft any custom cabinet application to tailor fit your needs. View our Design Process to see how we approach the cabinet design & layout process. By partnering with top cabinet & solid wood surfacing companies, we can offer you a solution to fit both your design specfications & budget. 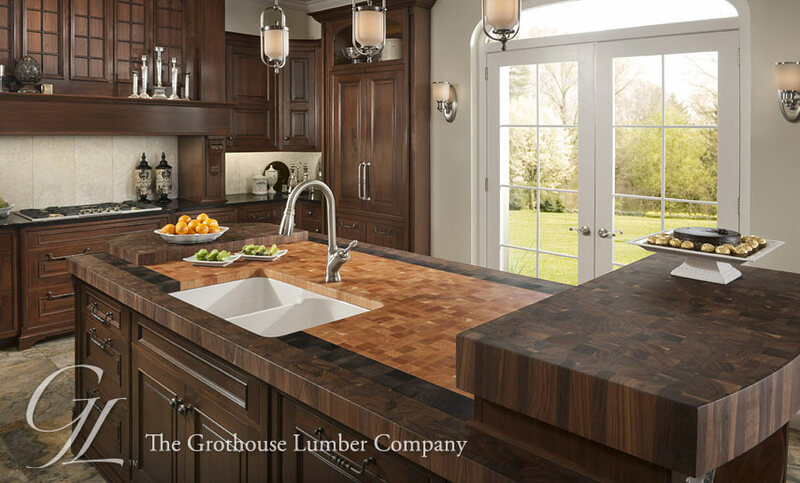 Give your kitchen or bath an elegant and efficient look with the unique wood countertop surfaces of Grothouse Lumber Co. & by Paul Grothouse Fine Furniture. From bartops to butcher block kitchen islands, these solid wood surfaces are a warm and functional addition. Hand crafted custom cabinetry solutions from KraftMaid apply not only to the kitchen but to your whole home. We can apply the expertise of 40 years of cabinet crafting throughout the design process of your kitchen, bathroom, or any living area. We custom design using the wide array of styles and stain colors available from our partners, if you don't see a style you like here, please browse their websites for all available product lines and options. Bring your vision to life with custom cabinetry that supplies functionality and aesthetics. Visit Woodland Cabinetry for all available products. Wood countertops and solid wood surfaces crafted from an array of wood choices. Visit Grothouse for all available products. Your partner for high quality all-wood cabinets at an affordable price. 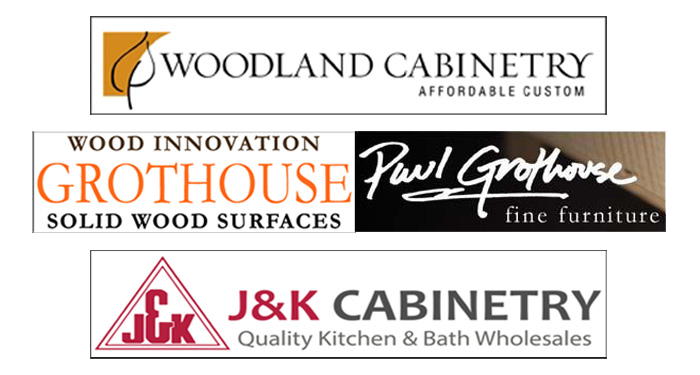 Visit J & K Cabinetry for all available products. Browse a few door style options from Woodland Cabinetry.